On January 20th The Cooper Union in New York City opened an exhibition of the work of J. Henry Fair entitled Landscapes of Extraction: The Collateral Damage of the Fossil Fuels Industries. 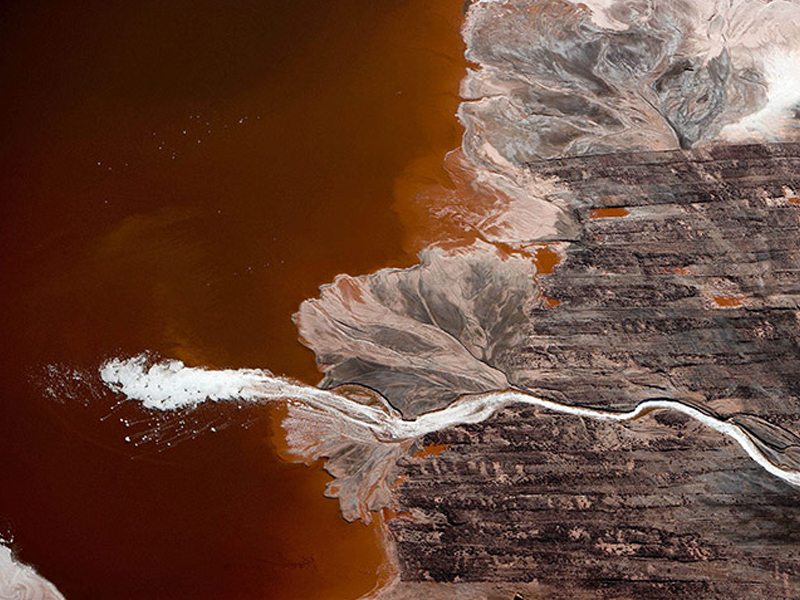 Presented by The Cooper Union Institute for Sustainable Design, and the Irwin S. Chan School of Architecture, the large-scale, color photographs, accompanied by student research, present a visual taxonomy of the accelerating scale of hydrocarbon extraction in North America. Yet this reading quickly becomes as reductive as many of Mr. Fair’s images. In both of Ms. Smith’s references and Mr. Fair’s lack of criticality towards the representational traditions that his images evoke, these landscapes are framed as much by long-established compositional tropes as by the naive perception that they are discrete and spectacular ‘elsewheres’ in the North American landscape. In the Romantic tradition, the sublime was the unknowable elsewhere; the spectacle encountered as man looked precariously across the threshold into the ‘abyss’. Ultimately what Mr. Fair’s images fail to capture is the difference between looking into the abyss versus the view up from the bottom. In this sense the viewer is left to question how to contextualize these techno-baroque landscapes as an abyss of environmental destruction that each of us pulls a lever on.